The fresh and sustainable policy continues throughout the café with composting and recycling being high on the list of priorities. Indulge your taste buds in central Wellington. See how fresh organic produce can be used to create stunning dishes. 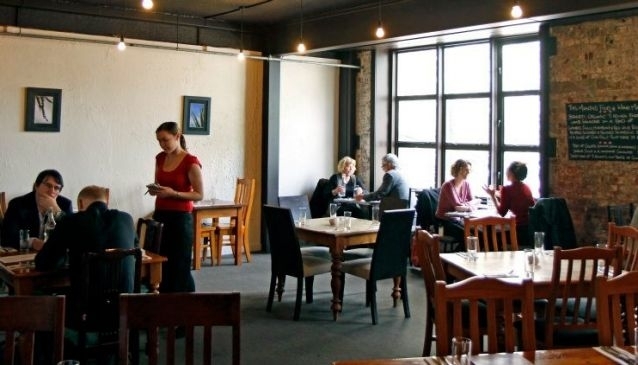 Founded in 2010, Ti Kouka Café is the work of brothers Jesse Simpson and Shepherd Elliott. Together they have worked to create a friendly and inviting space in central Wellington's Willis Street where diners can find everything from sweet treats to a leisurely brunch. The seasonal menu features the best of local organic produce lovingly combined in the kitchen by Shepherd. Highlights from the breakfast menu include traditional dishes such as scrambled eggs and crumpets alongside interesting plates such as gingerbread pancakes, while the lunch menu includes light salads and sandwiches and more hearty meals such a lamb shoulder and fish of the day. At the front of house, Jesse provides the welcome and makes coffee using beans from the café's direct trade suppliers and organic milk.